Best Professional Web Development & Design Company in Bangalore. Custom applications based on specific needs and complexity of requirements. We invest time in understanding client requirements, and then tailor complete solutions that deliver tangible value to the enterprise. We consider every aspect of the problem - from the underlying business processes to the importance of change management to the merits of various technologies. We then develop spatial information systems that move client businesses forward and yield a measurable return on investment. 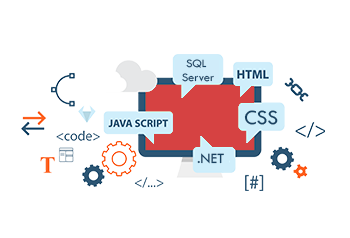 With years of experience in the field of application areas of technology, Midwest Infotech has catered its services to various clients, in India and Middle East, in the design, development and implementation of software tools and technology. Services range from desktop based custom development to development of web based solutions. Midwest Infotech has expertise in delivering a wide range of custom applications for customers in the Real Estate, Mining, Government and Logistics markets. Approach of Midwest Infotech in building the solution encompasses the process of studying, building, testing, on-site implementation and training.